better off getting a cheaper case and an AIO liquid cooler. Sure some air coolers can perform similarly to some AIOs but the good ones are just so bulky, AIOs add to the aesthetics. 4.3 is pretty low for a 6600k, no wonder your temps are so low. I got a similar build for cheaper. Chek it out! http://pcpartpicker.com/list/pHhmkT Suggestions are highly appreciated! What do you think? That's a nice build. I would change a few things to suit my preferences and turns out it comes a bit cheaper. To be fair, I manually entered the prices of when there were of posting this since I have no idea how you get that lock icon to appear. I left the SSD untouched. I got a similar build for cheaper. Chek it out!http://pcpartpicker.com/list/pHhmkT Suggestions are highly appreciated! What do you think? This is my Black/Red 1440p Build http://pcpartpicker.com/list/ZCkHzM And this is a 1080p Build http://pcpartpicker.com/list/pQMMvV Any advice? Let me know what you think! Both builds are mostly solid except for a few points. Not bad, overall. Here is what I recommend you to do. Ditch both storage drives and get a Samsung 850 EVO and Western Digital Blue, replace the PSU for this Thermaltake PSU (http://pcpartpicker.com/product/Wk2kcf/thermaltake-power-supply-sp650pcbus). The EVGA V1 PSU you selected is not recommended. 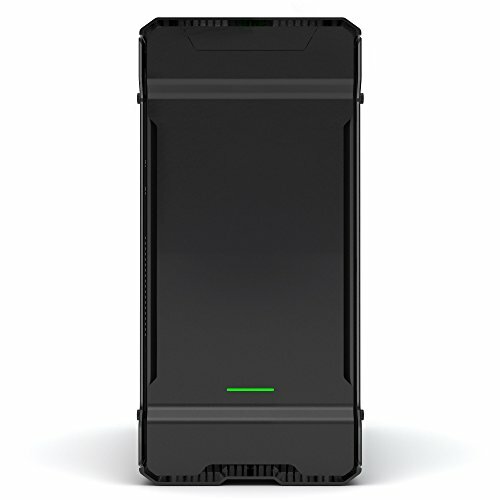 Stick with the Corsair SPEC-02, that's a really nice case. Do that for both builds. For the 1440p build, I would swap the MSI Z170-A for Asus' Z170-A. You get better build quality here and there with some extra features for (at the time of typing this) a couple bucks more (assuming the price is current at this time). Honestly that's just my preference for Asus but I believe you should be just fine. The 1080p build is just fine after applying the changes stated above. The mobo is alright, should serve your gaming needs well (just don't expect decent OC). Now the RX480 is actually a steal especially if you play DOOM using the Vulkan API and you'll see a MASSIVE performance increase. Though with only 8GB hopefully it won't be bottlenecked too much-I don't think it will, but your experience may vary. As for the RAM, eh, whatever. Out of preference I would say get G.Skill's value ram or NT series but it doesn't matter. Stick with your RAM kit. Lastly, for your rig's sake get Cooler Master's Hyper 212 EVO. Why did you go the Asus Z170 Pro Gaming instead? I ask because I'm comparing a few different mobos in the same price range (aside from the Asus, the MSI Z170A KRAIT GAMING 3X and the Gigabyte GA-Z170X gaming 3) to go with a Core i5 6600k, GTX 1080, G.SKILL Ripjaws V 16GB (1x16GB) DDR4 3200MHz. Edit: aesthetics not a consideration either. I chose what I chose to suit my own preferences and one of my preferences for mobos is Asus. Even if it's just for aesthetics. But in this case it's not just aesthetics. The components this Asus mobo has are made for very good overclocking. I wouldn't OC much with that Cryorig cooler. Even if I have the voltage to spare, I would be very careful. If I wanted a 3000Mhz kit, I would choose the blue G.Skill 2x8GB kit. And most importantly, I have a huge list of parts I favorited and researched since Jan 2015 and I pick from there since these are parts I would build with myself without cutting back on quality to the point of detrimental to my desired level of performance nor create a fire hazard (I'm looking at you Corsair CX PSU series). I didn't choose that PSU for aesthetics. Also, I meant to choose the windowed version and a different PSU but it still works out alright. I know and I wanted to change a few things but what's done is done. Still, if one wanted that PSU the reviews for that Antec PSU give it good marks. No question that EVGA's G2 series are undoubtedly better just like Samsung's EVO SSD's. For the sake of having a similar parts list, I won't loose any sleep over it. I forgot to mention, if I cared about PSU aesthetics, I wouldn't dare choose the Antec PSU. Imo it's tacky but it functions well and I don't really care for this parts list. The older Krait gaming had several issues and wonky upwards sata ports. The Gaming 3X is actually pretty good. Its no Msi Titanium or a Gigabyte SOC Force but its a good choice for the price and it overclocks similarly to an M5. I believe it had some problems with it's VRMs or am I mis-remembering? Same with the audio and LAN. This is literally 10 times better than the original revision, thanks for fixing the build to be more enthusiast friendly! It's an OK build. Overall pretty good but if your claiming an enthusiast build I would get an AIO liquid cooler and an i7, but other than that good build! Yes cheaper, but you have to consider threading with an i7. And said enthusiast build should have an i7 due to threading alone not to mention the benefits an i7 offers with video editing and rendering work. I know right I'm going to put one in my real build in a few months. Ya MIRBs can be a pain, but its a better way to save 40 bucks then skimping on something imo. Do you have any pics of the completed build? Hey, this isn't a completed build, this is only a guide. We do build some of our guides - our most recent being our Great Gaming Build. Firstly you spent way too much for a case mate. Secondly the CPU Cooler is Crap either go Noctua or AIO Water Cooling the Enthusiast Way. you Don't really need a 960gb SSD which Overkill tbh. Yeah I could agree with that , opinions & preference on the case. With that CPU his not gonna overclock anyways true. I would suggest a cheaper case, and a better cooling system/RAM. But if this build made those changes someone could end up with a BEAST pc!!! 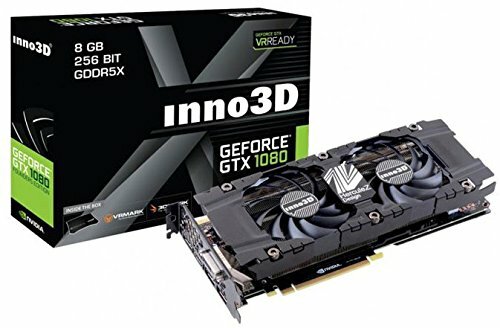 Sad the GTX 1080 is $1200 over here in Australia, Where as in America it's around $650US. Your parts and price are all in America which is obviously Cheaper $1,220.00 USD = $1,599.57 AUD. My parts are all from Australia which everyone knows Is the most expensive Instores & Online In Australia. My build cost me all up including MonitorBenQ & Casemods Led Kit $2300AUS. Your GPU may be better BUT my CPU is Better. 5.IF you Have the money I recommend getting a Better Mid Tower Case like Phanteks or NZXT or BeQuiet. Corsair I recommend 450D. 6.IF you have the money I recommend you get a better CPU Cooler like Noctua, Phanteks, Cryorig Twin Tower HeatSink. OR AIO water Cooling like Corsair H100, H105, H110,H115 NZXT Kraken Series. 7.You can't have all good parts and then have a Crap Case+CPU cooler Just doesn't workout. Can't go cheap on parts either. Water cooling would also be interesting? I'm pretty new here and I want to build a gaming PC. I really like this guide but I can't afford it. The very limit is between 1400 and 1300 USD. Now my question is: What could I change to get this excellent PC for the mentioned costs? I thought about another case. Hello everyone i am new and i would like this build. I have been a console gamer since the Atari 2600 up in tell now with the xbox 1. I have gotten tired of the consoles useing outdated parts. I have never had a gaming pc and will have to get used to playing with mouse and keyboard. I have a couple of q for you guys and girls. With this build will i be able to play with a headset and if some games allowed controllers At the same time?. I have about 700 saved out of a 2000 budget not including what my local pc makers will charge for labor and installing the parts and windows 10. I would do this my self but i don't trust myself. Do you all think with upcoming games like the elder scrolls 6 and battlefield 1 to name a few i will be able to play everything on ultra and keep a constant 60 or higher frames?. Thanks for taking the time to read my long winded post. Also before i for get how many more fans should i get?. Also will this come with a cd drive i like fiscal copy's of games and would if i could get the and keep them. Thanks i was just asking how good would that computer do on upcoming games with everything turned to ultra and all the bells and whistles turned on what kind of fps will i get and how much slowdown should i expect. I don't have a 4k monitor so i will be getting a Asus VG248QE 24.0" 144Hz Monitor it has a 1920 x 1080 Recommended Resolution. Does that mean it wont go higher?. Hey, just wondering if there's a step by step written tutorial or video on how to build this custom pc? This is my first foray into the realm of pc building and this is actually the first site I've jumped into. Just wondering if there is one because I'm not seeing it. Or is it pretty self explanatory once I get the parts? You could get a way better psu for one more dollar, get a much cheaper SSD or hard drive (or both) and upgrade to the 6700k with the money saved from the storage. If you don't want to downgrade the storage, I would get a much cheaper case. Spending $220 for a case is not necessary. I would of stayed with 600w minimum because when you build a pc it can take more power then it needs the pc could auto shutoff. On pc part picker even though it says 370+ watts it could take more and that is proven by LTT or Linus tech tips and pauls hardware that its best to go a little more then what the minimum required power. 550W is already way over the minimum requirements of the build. I would of stayed with 600w minimum because when you build a pc it can take more power then it needs the pc could auto shutoff. 550 watts is already good enough for this build. and that is proven by LTT or Linus tech tips and pauls hardware that its best to go a little more then what the minimum required power. I would take anything from LinusTechTips with a large grain of salt. Aesthetics is actually even more relevant for expensive builds. 16 GB is enough memory and 32 GB isn't really needed IMO. Most of the times it isn't used. GR One under £100. Paying for a name here in your case. The new tempered glass has made case pricing even more of a con. GR One has it's downfall though, looks massive sat here in a small area. its an enthusiast build not a budget build. your build is a budget build not an enthusiast build. Regarding storage, the Entry level guide has the mechanical drive to make up for the SSD only have 240GB. It's 2TB instead of 1TB because the price difference between the two sizes was $10. The heat spreaders are indeed for aesthetics. Unsurprisingly, storage comes down to personal needs. Thank you very much sir,i took every advice you gave me for this build.Also thanks for enlightning me about the psu,at first i was only going to choose it because of the 80+ gold and fully modular since i most likely will be ordering a set of custom sleeved cables. I opted for 2x4gb of ram because indeed i wont be needing much anyways.Good tips on the ssd.Thank you once again i really appreciated it. One last question,for the cpu cooler is it ok if i take off the white fan and use it at the bottom pushing air up where it wont be seen,and instead adding a black/red fan on to the cpu cooler to match the build? Or should i opt for an aio liquid cooler instead? I was thinking about using it as the bottom case fan pushing air up in the case,where it wont be seen,but nevermind that because now i plan on going with the matte black/red nzxt s340 wich doesnt have a bottom fan placement so in that sense i don't know if i'll completely remove it from the case.The only problem i'm gonna have with the case is that the window side panel scratches way too easily and the scratches aren't removable.i saw some glass replacement for 32$ but im not willing to pay that much. Do you think i can remove it and put like some kind of clear coating on it so it won't get scratched? Also do you have any recommendations on some similarly priced cpu coolers with similar performance levels with black or black/red fans? Or perhaps a 120/140mm AIO with maybe led on the cpu block but good price/performance ratio? You don't need a network adapter to use ethernet, which is what most desktop users end up employing for internet access. Additionally, if you have multiple comments for one build, please keep them in one post. There's no need to make multiple posts for the same build. It has bad thermal paste, it has mediocre performance and a 200 hour curing time. A locked CPU with a motherboard gear towards overclocking. 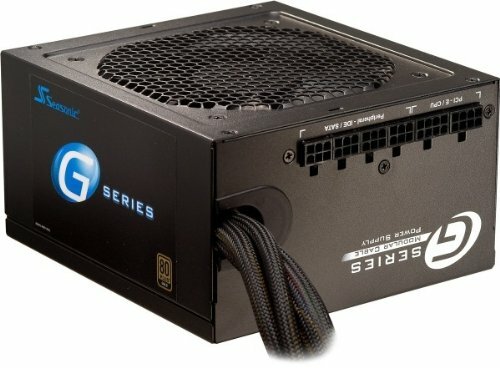 It has a mediocre PSU which is a no go in a 2K build. 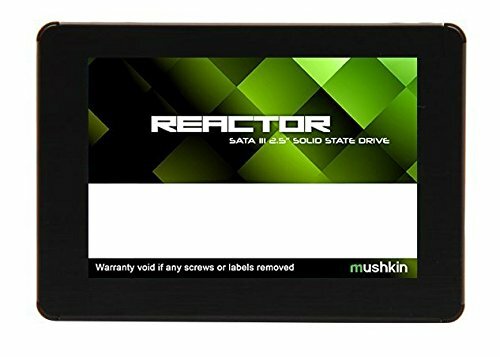 It has a 950 Pro, sure its great but you really won't notice the difference between it and a decent sata based SSD when it comes to a gaming build. That RAM is ugly and is slow at 2113Mhz and you could get fast RAM which the motherboard supports. Why a external HDD instead of a internal one? It has a smaller SSD. It has a monitor, OS, a crappy keyboard and mouse for gaming, which wasn't in the original build. It also has a worse CPU cooler, the H7 is smaller, quieter, and performs better.